The holiday season is upon us. A habit that I have made each holiday season is giving to the planet. There are many great environmental nonprofits that are working hard to protect and preserve our waters and lands. If you are not a member of an environmental nonprofit, I encourage you to seek out one (or two). Become a member and make a donation. Donations are always appreciated but membership is where you can be an asset to an organization. Membership is important because it gives the organization a bigger voice when working for a cause. Being a member also puts you on the organization's mailing list so that you stay informed about what is going on and how you can help. Support isn't always financial but can be in the form of signing petitions, contacting your representatives, attending meetings, and/or volunteering at events. Volunteering for river and beach cleanups. I recommend seeking out the nonprofit(s) that speak to your interests and passions. When I seek out organizations to support, I look to balance my time and money between large nationwide organizations and small local grassroots organizations. Personally and through Liquid Fusion Kayaking, Jeff and I donate time and money to numerous nonprofit organizations. Here are 3 of the organizations that I am currently most passionate about. American Whitewater - Founded in 1954, American Whitewater is a national non-profit organization with a mission “to conserve and restore America's whitewater resources and to enhance opportunities to enjoy them safely.” AW is the primary advocate for the preservation and protection of whitewater rivers throughout the United States, and connects the interests of human-powered recreational river users with ecological and science-based data to achieve the goals within its mission. AW works nationwide and in our backyards. AW has gotten a place at the table for the relicensing of the dams on the Eel River. Jeff, several other local whitewater boaters, and I attended a meeting in October to give input. Surfrider Foundation - Not just for surfers - Surfrider Foundation is dedicated to the protection and enjoyment of world's ocean, waves and beaches through a powerful activist network. Check out your local chapter or consider supporting The Mendocino County Chapter . The Mendocino County Chapter was founded in 2002 and is rallying to increase membership. We are having bimonthly meetings and working on campaigns for Ocean Friendly Restaurants and Help the Kelp, organizing beach cleanups, and supporting water testing efforts. Noyo Center for Marine Science - Prior to 2002, Fort Bragg was a somewhat traditional a blue collar lumber and fishing town on the north coast of California. Situated on 3 miles of Fort Bragg's Coastline, the Georgia Pacific Lumber Mill comprised about 1/3 of the town. In 2002, Georgia Pacific Lumber Company shut down the lumber mill in Fort Bragg. This was a turning point for our little coastal town. Members of the community met to strategize how to prevent economic disaster and reinvent Fort Bragg. Many great ideas came from the ashes of the mill including the vision to create a marine science center for research and education. This was the birth of the Noyo Center for Marine Science. 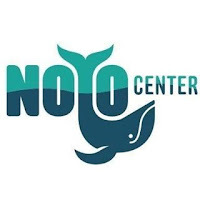 Take a few minutes and check out the Noyo Center website which you will find educational, interesting, and informative. Of course, we like the Crow's Nest Live Video (take a look - you might see us kayaking out there). Help the Kelp is a research and restoration project that the Noyo Center has spearheaded to address the ecological crisis in our kelp forests. We have seen first hand the devastation of our kelp forest and are passionate about this project. It is impressive how much the Noyo Center has done and we are excited about the future for them and our little coastal town. As 2018 comes to a close and we look toward the future, I encourage you to consider how you can help make a difference locally and globally.